National Heat Exchange (NHE) is a complete service facility for condensers and heat exchangers of all types and sizes, including plate and frame, spiral and welded bloc components. 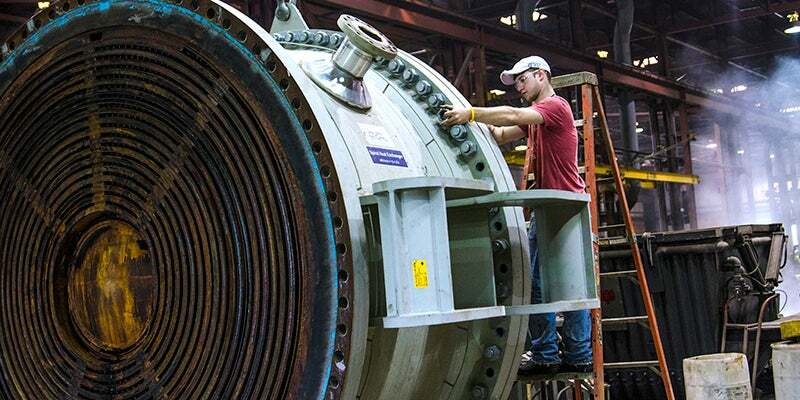 NHE offers a full line of services to keep exchangers operating at optimum level, including shell-side and tube-side cleaning, re-tubing, re-manufacturing, coating, high-pressure lancing, fin fan foam cleaning, testing, tube plugging, and condenser cleaning. The company has continually added services to better serve clients; both on-site and in-house services restore maximum efficiency to heat exchangers. NHE provides professional-grade tube ID cleaning equipment, featuring its patented ExactID cleaning darts. NHE has a variety of options in order to restore optimum heat transfer, including high-pressure lancing, drills and hones, rotary brushes and its ExactID cleaning darts. The company performs preliminary testing in order to ensure maximum efficiency. Manufactured in-house, NHE’s ExactID Darts are available in eight patented designs for any type of fouling and tubing. With more than 25 years of proven effectiveness, the ExactID Darts are custom-machined for an accurate fit. They provide complete ID coverage and effective removal of any fouling, ranging from soft deposits to stubborn residue and obstructions. NHE supplies professional grade tube cleaning equipment to a wide variety of locations, including the NHE Port-A-Pump system, the RBM-4 rotating brush machine and our patented ExactID Darts solution. Available in electric or diesel-powered motors, NHE’s Port-A-Pump system and its patented ExactID Darts provide a high level of cleanliness. The company’s RBM-4 is equipped with the accessories needed to perform regular preventative maintenance, including a flexible shaft, foot pedal operation, nylon or steel brushes and a lubrication kit. NHE’s patented, state-of-the-art enclosed mobile bundle cleaner (EMBC) performs shell-side cleaning operations, using an enclosed container. Tube nests are placed inside the unit, where they are rotated and sprayed at 1,500gal/min to ensure an optimal cleaning temperature. The system promotes no risk of overspray, splatter or runoff within the enclosed kidney loop filtration system, and zero liquid waste. NHE’s EMBC process will restore the exchanger between 92% and 98% efficiency and the cleaner is safer to operate than traditional high-pressure blasters. NHE offers re-tubing and re-manufacturing of all types of heat exchangers. The company also repairs heat exchanger tubes experiencing excess pitting, advanced wall loss, or leaks that prohibit reinstallation. NHE offers full re-tube, partial re-tube, or single tube replacement services. Original equipment manufacturer (OEM) replacement is costly and may extend the service life. With NHE’s large inventory and specialised techniques, clients can save time and money by choosing re-tubing or re-manufacturing services. The company’s highly trained technicians clean and hydro-test all refurbished units, ensuring reliability and efficiency. All units are built to American Society of Mechanical Engineer (ASME) specifications with material certifications included. NHE uses a speciality cladding system, distinguished by its thick film nature (200mil dry film thickness) of high-performance, 100% solid epoxy material that offers a high-level of protection. The company’s epoxy coating restores tube to tube-sheet integrity, repairs and stops corrosion, and prolongs service life. Resilient and flexible where needed, epoxy coating is resistant to impact damages and inert to chemical and water treatment programmes. Designed to chemically remove accumulations and organic and inorganic deposits, NHE’s patented foaming system will restore cooling efficiency and reduce downtime. Foam is applied to gently lift deposits as it dissipates, minimising chemical requirements. NHE’s highly trained technicians have a variety of testing procedures available to them for use before, during and after services are performed. Available testing procedures include hydro, static air pressure, bubble, dye penetrant, vacuum, ultra-sonic and eddy current. Testing assists in determining the best course of action when refurbishing an exchanger, and ensures performance and reliability after the work is done. NHE is equipped to service any type of heat exchanger, including plate and frame, spiral and welded bloc. OEM and non-OEM replacement parts, including gaskets and plates, are available for all major manufacturers. After testing, the company’s team will choose the appropriate method of restoring a heat exchanger to optimal performance with minimal downtime. Heat Exchanger fouling and maintenance contribute to long-term reliability and overall cost reduction. National Heat Exchange provide a variety of testing methods in order to ensure maximum efficiency; including Dye Penetrant, Ultra-sonic, Bubble, Hydrostatic, Eddy-Current, Pressure and Vacuum. The cleaning of four LP Feed Water Heaters for a customer in the Western United States was performed by National Heat Exchange Cleaning Corporation. Lube oils and the functions it is used for in turbine-generation are necessary for optimal production for the moment, and optimum equipment reliability for the future.